The Meirionnydd region of North West Wales is home to some of the best examples of Atlantic Oak Woodland in Europe. This unique habitat is rich in biodiversity and is highly valued by the local people as a place of work and a place of unrivalled beauty to relax in. Few areas can boast beautiful beaches, cliffs, valleys, rivers, woodlands and mountains all within a 10 mile radius. The woodlands are now the focus of an innovative partnership working to restore, protect and expand them – the Meirionnydd Oakwoods Habitat Management Project. improving access to the forests so that people can experience a unique closeness to nature and wildlife unrivalled in Europe. MOHMP have offices in Dolgellau, there are three members of staff Tim Gordon-Roberts as Project Manager, Lea Hughes as Project Ranger and Lynne Morris as Project Administrator. XmasGiftsForHer.co.uk is a website that offers great Christmas gift ideas for her. 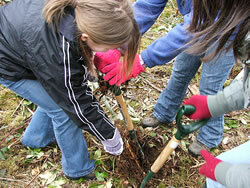 It is our financial support of an innovative partnership to restore, protect and expand the woodlands. The government’s forestry agency charged with protecting and expanding Britain’s forests and woodlands, increasing their value to society and the environment. 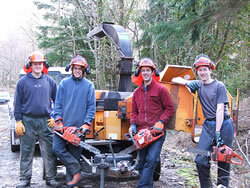 The Forestry Commission is the lead partner in the project, supporting the project staff and overseeing the day to day running of the project.